Military members put themselves in danger every day. They risk their lives fighting for American freedom. While veterans are supposedly entitled to a wide variety of benefits, many have trouble getting the assistance they need. Others are unaware of their veterans benefits, and as a result, they miss out on the many advantages of working as a member of the military. They end up paying much more than necessary for health care and more. The Veterans Administration (VA) offers a comprehensive benefits plan for enrolled veterans. Veterans are entitled to a wide range of military benefits, including health care. All veterans are entitled to receive preventative care, prescription drug, home health care, hospital services, long-term care and nursing home benefits, all for a reduced rate. Some people even receive free services, depending on their financial situation or service-connected injury. When some veterans enroll for their VA benefits, they may be asked to complete a financial assessment. This assessment is based on the gross household income of the veteran. VA health care is an option for many veterans. Whether you are now on Medicare, approaching retirement age, living without health insurance or having trouble finding a primary care provider, it’s a good idea to look into VA benefits. These benefits offer preventative care to keep you healthy. If you have a chronic medical condition, these benefits can keep your condition from getting worse. If you served in the Armed Forces and were discharged from military service under honorable conditions, then you qualify for VA health care. Combat service is not a requirement. There is no deadline to enroll, so even if you served many years or even decades ago, you qualify for these benefits. VA health care benefits are considered coverage under the Affordable Care Act, so if you qualify for it, you should enroll in it to avoid being penalized for having no medical insurance. Buying health insurance can be a financial burden for many veterans, so don’t miss out on your chance to have health coverage. Once you are enrolled, it’s important that you take the proper steps to maintain your enrollment. You must be seen by a doctor at least once every 12 months. If not, you will have to re-enroll before you can receive health care services. 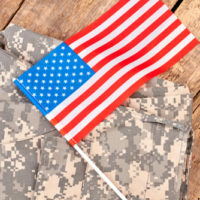 Veterans are often unaware of the benefits they are entitled to receive once they no longer serve in the military. They fail to receive the healthcare they desperately need because they are under the impression they must pay for the care out of pocket at full price when in fact they can receive low-cost or even free medical care. If you are a veteran who is sick or has been injured, make sure you get the benefits you deserve. If you are having trouble doing so, seek legal help from the Law Office of Michael Lawrence Varon in White Plains today. We can help you get healthcare and other benefits. To learn more, contact us at 914-294-2145.